For years and years, John Smyth has haunted the margins of the local singer-songwriter scene, honing his craft at open mics and small, often out-of-the-way stages throughout central Vermont with workmanlike regularity. Until recently, that was the only way to hear him: to catch him at the Whammy Bar in Calais or the mic at Skunk Hollow Tavern in Hartland Four Corners and the like. 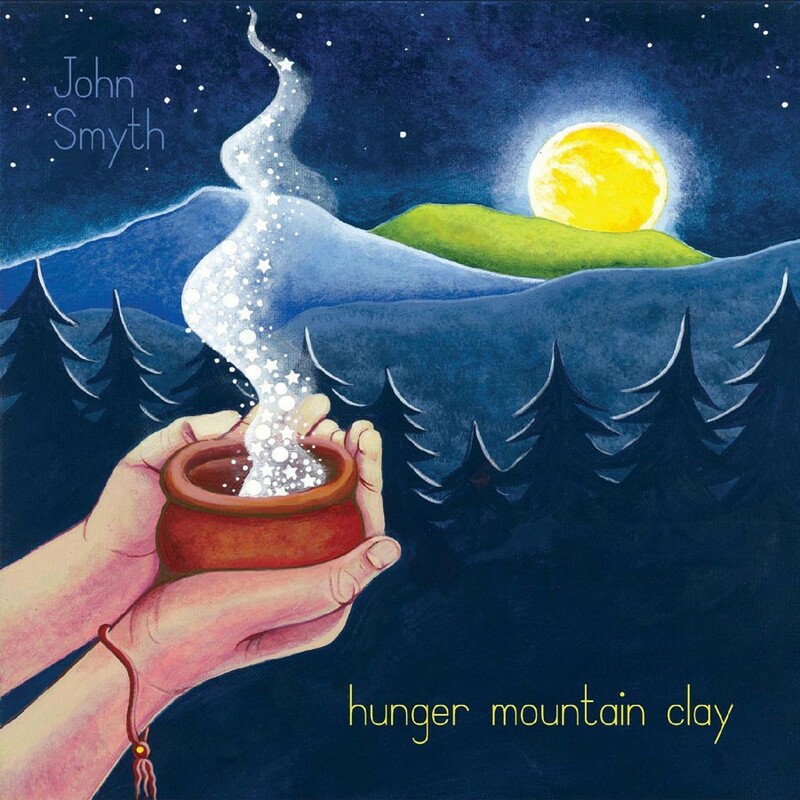 But Smyth's newly released debut album, the Colin McCaffrey-produced Hunger Mountain Clay, suggests that the songwriter may finally be primed to step out in front of bigger crowds. Between its rural origins and twang-specialist producer — not to mention its rootsy AF title — you could be forgiven for assuming Hunger Mountain Clay is yet another in a long line of Vermont Americana records. While elements of folk and country streak throughout, Smyth admirably expands his sonic palette. He dabbles in various strains of rock, blues and jazz, even importing some Tex-Mex and Latin influences. The result is a record rooted in more than just mountain clay. "My Baby Drives Too Fast" opens the album with rumbling rock and roll. It's an album highlight, an old-fashioned drag race of a song that revs high off the line and doesn't slow down. Key to its success is a quality that later eludes Smyth: efficiency. While cheeky, his writing here is lean and focused, a finely tuned engine that doesn't waste a drop of fuel. That's not always the case throughout the record. On the murder ballad "Got Away With Murder," for example, Smyth is guilty of overwriting — a case closed when he whispers the title line: "She got away ... with murder." The ill-advised dramatic device is presumably meant for chilling effect but instead comes off as hokey. Fortunately, such instances are exceptions, as Smyth generally writes with purpose and personality. Those qualities are aided by his pleasantly husky, plainspoken vocal delivery. "Bordertown" is a nifty slice of dusty, Tejano-inflected rock whose gothic bent is captured in Peter Lind's spooky harmonica. The title track owes a debt to the sing-along country-rock strains of the Band. "Nothing but Pearls" is a charming and idiosyncratic little love song colored with gorgeous dobro licks, courtesy of Ivan Goldstein. In McCaffrey's expert hands, Hunger Mountain Clay sings with twangy clarity — including the producer's considerable contributions on guitars, keys, mandolin, strings, bass and backing vocals. In particular, Russ Lawton's metronomic drums are set perfectly in the mix, a driving force throughout. Most importantly, though, Smyth's enigmatic style is given room to roam. His debut record is a promising development for this long-overlooked Vermont songwriter. Hunger Mountain Clay is streaming on Spotify. CDs are available at Smyth's shows. Follow Smyth on Facebook for show dates.